DO YOU NEED TUTORING? WHY NOT GET TUTORED BY ALUMNI FROM THE IVY LEAGUE SCHOOLS LIKE UC BERKELEY, HARVARD, STANFORD, AND JOHNS HOPIKINS. We completed our undergraduate and graduate degrees in Molecular Biology, Chemistry, Biomedical engineering, Computer Science, and Medical Science. As finals approach in June and July, it is time to make sure you pass your assignments and exams. I and several friends created a tutorial program to help students pass their classes. 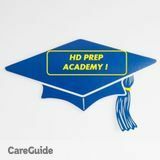 We help high school and college students pass their classes and exams. The cost for high school students is $55 per hour. The cost for college students is $ 65 per hour. MATH: Statistics, Algebra 1, Algebra 2, Geometry, Prealgebra, Precalculus, Trigonometry, Calculus AT ALL LEVELS, ACT Math, SAT Math, GRE Math, Accounting, Finance, Economics, ALL MBA CLASSES, All AP subjects. INTEGRATED BIOLOGY, MOLECULAR BIOLOGY, PHARMACOLOGY, COLLEGE Biology, General Biology, Genetics, Histology, Immunology, Microbiology, Physiology, Test prep for GMAT and SAT. We also teach K-8 subjects (Science, English, Math), all by former high school and elementary school teachers. Allied Health: Basic Life Support, Environmental Health, Epidemiology, Health, Medical terminology, Nutrition, Pharmacology, Pharmacy Technician, Pharmacy. We can meet at any cafe, library, or open public location.